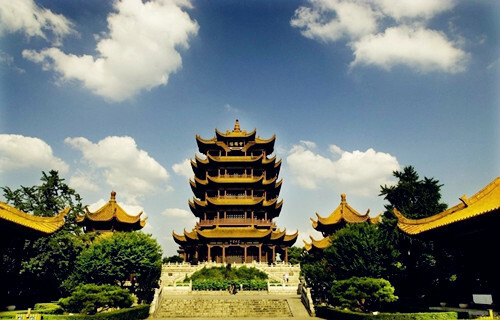 The Yellow Crane Tower Park is an absolute must-see scenic spot in Wuhan, capital city of central China's Hubei Province. Regarded as one of the Four Great Towers of China, the tower stands on the banks of the Yangtze River at the top of Snake Hill. 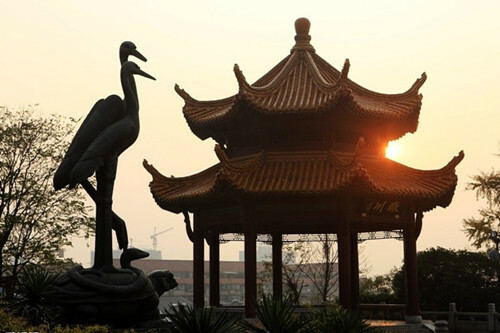 It is incredibly beautiful and its cultural significance led to its being made the symbol of Wuhan city. 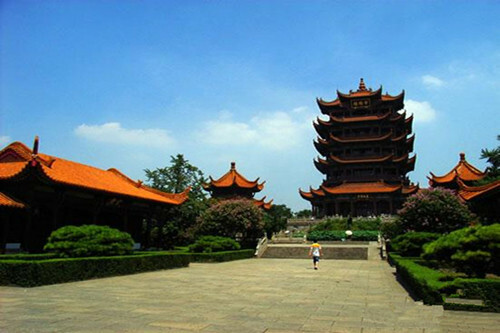 It goes without saying that it is one of Hubei's most popular tourist attractions. The Yellow Crane Tower offers visitors an abundance of things to see. The exhibit on each floor has a theme, for example, the theme of the first floor is about legend. On the wall, there is a nine-meter (about 30 feet) long and six-meter (about 20 feet) wide painted porcelain picture which depicts clouds, rivers and cranes to represent a romantic mood in the heaven. The third floor mainly shows poems written to praise the tower in different dynasties. On top of the tower, visitors are treated to a fabulous panoramic view of the Yangtze River, its bridge and the surrounding buildings in Wuhan city. Outside the tower, there are bronze yellow cranes, memorial gateways and pavilions.